We deploy surface miners for the difficult applications – partings and thin seams. Partings that are deemed inseparable result in discarded or lower-quality coal. We expertly use surface miners to remove these partings, resulting in better coal delivered and increased recovery of the deposit. Some operations have very thin seams of coal that are not practical to recover using conventional methods. We can extract these seams with surface miners, lowering the strip ratio. Surface miners reduce operating costs, increase recovery in areas of blasting restrictions and provide unique options for blending your material. We can deploy surface miners to combine drilling and blasting, primary crushing and loading functions into a single function. 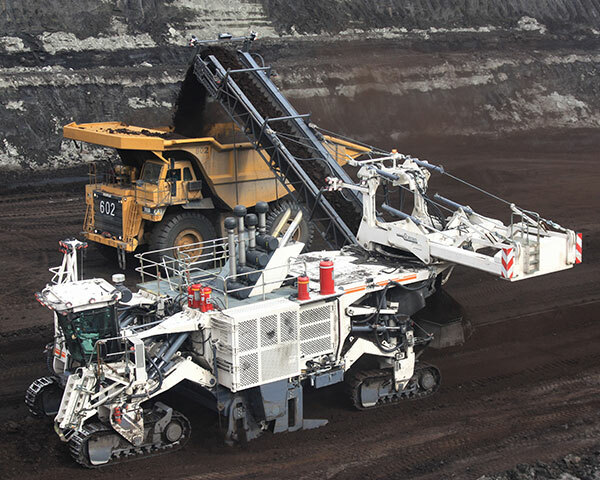 Whether you want to increase your coal recovery and quality or reduce your aggregate mining costs, our expertise with surface miners will bring value to your operations. We fully integrate our activities with our customers' operations to deliver exceptional mining solutions. Productivity is the driving force behind all we do. Our operators are the best in the business. TECHNOLOGY AND INNOVATION FOR YOUR OPERATIONS.